Which do you most wish wasn't a practical joke? The Icon Garden set up again. Return of the Happy Mac. 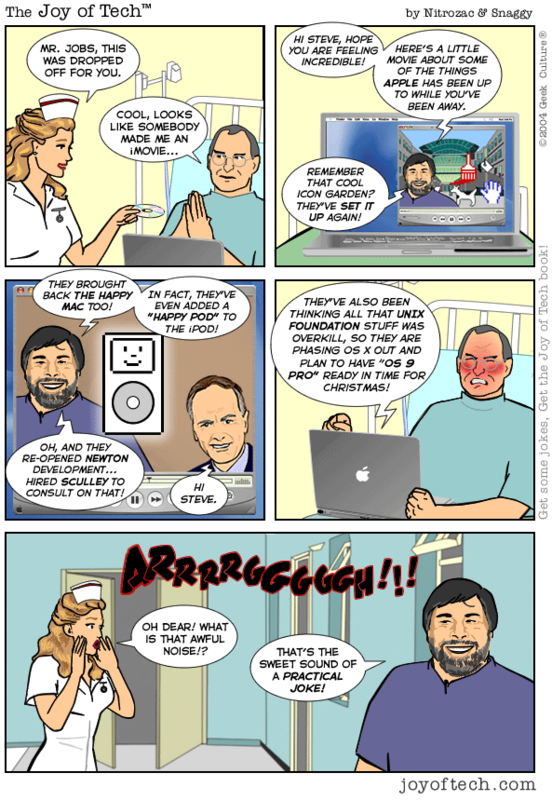 Introduction of the Happy iPod. Apple starts developing the Newton again. I mostly wish I had a hot nurse delivering me freshly burned CD's. Rhonwyyn needs some advice Buying a car... Oz, the Wizard of returns with The problem with Academic Internet , ... Nick Dumped AOL!! , ... and Snaggy cracks up over a Suicide jumper. And in SuperFan Clubhouse Tidbits: macmcseboy moves out.... take 2.